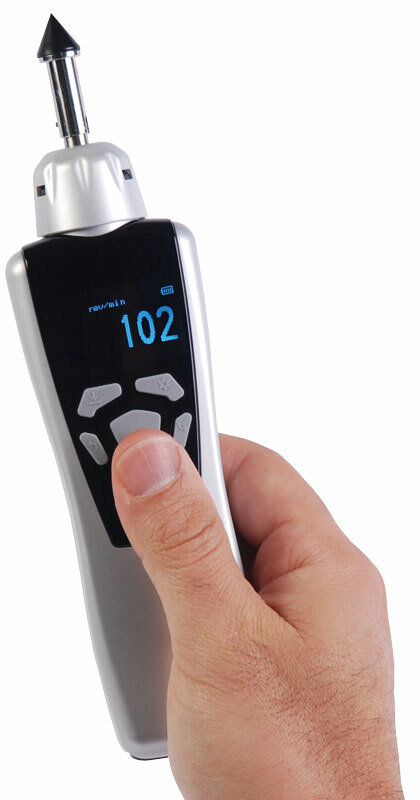 The all new Shimpo DT-2100 is a highly advanced combination contact / non-contact hand-held tachometer. The DT-2100 offers data-logging, USB output and a programmable scaling feature to offset RPM according to application variables. It features a blue backlit LED Display with upper/lower limit icons and a unique X-Y Graphic mode. 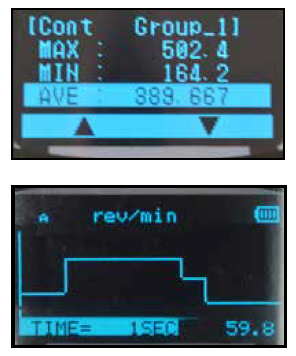 Additional display modes unique to the DT-2100 is the "Needle Sweep" and Bar Graph" offers the user a choice of how to view the data. The display can also be inverted to optimize the viewing angle. In non-contact mode the tachometer measures RPM up to 99,999 RPM at distances up to 13 feet or 500 cm. 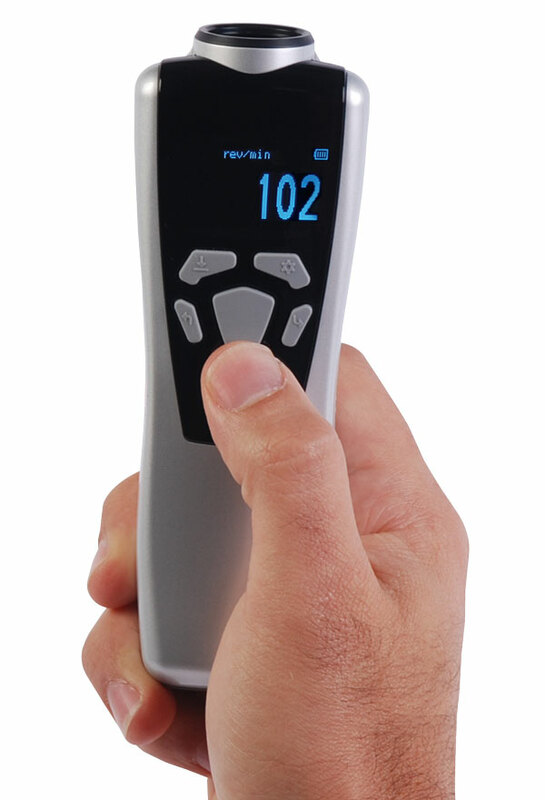 The DT-2100 can also measure contact RPM, surface speed, or length using the supplied screw-on adapter. Data logging can be set for single point or continuous logging. Single data points as well as statistics (Max, Min, Average) can be stored in the built-in memory and recalled to the display. Often users need to adjust machinery during testing, with the DT-2100 you can mount it on a tripod, select continuous logging and adjust machinery as necessary. After the test, you can easily review the data on the DT-2100's display or download to a computer using the optional PC Software. The DT-2100 is supplied as a complete kit with 2 cone tip adapters, funnel tip adapter, shaft extension, 6 inch circumference surface speed wheel, reflective tape, 2 AA batteries ... all supplied in a foam-fitted carrying case. An NIST-Traceable Calibration Certification is optionally available.